A number of factors – leaves, bird droppings, dead bugs, oxidisation from the sun, deterioration of a window’s rubber seal – can cause uPVC surfaces to lose their brilliant white finish over time. Spruce them back up with Green Teams uPVC cleaning service. 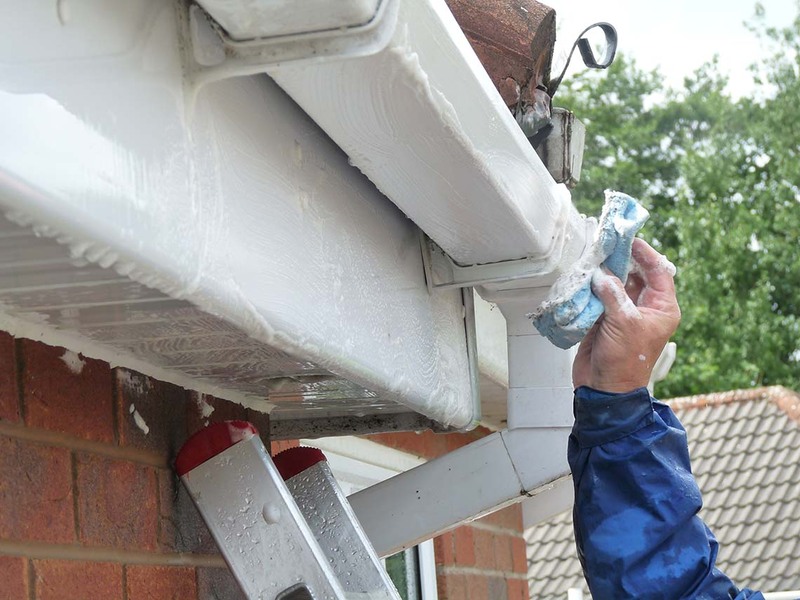 Here at Green Team, however, we know exactly how to clean them and achieve results that will leave your uPVC surfaces looking as new as the day they left the showroom. …we can also use a specialist solvent cleaner, which is applied manually by a team member, using a ladder if need be. While this is far more effective in the removal of more permanent stains, it is also more labour intensive, which is reflected in the cost. Don’t wait any longer! Sign up today for a free non-obligatory quotation and we will call around and email you a price within 24 hours of our visit.